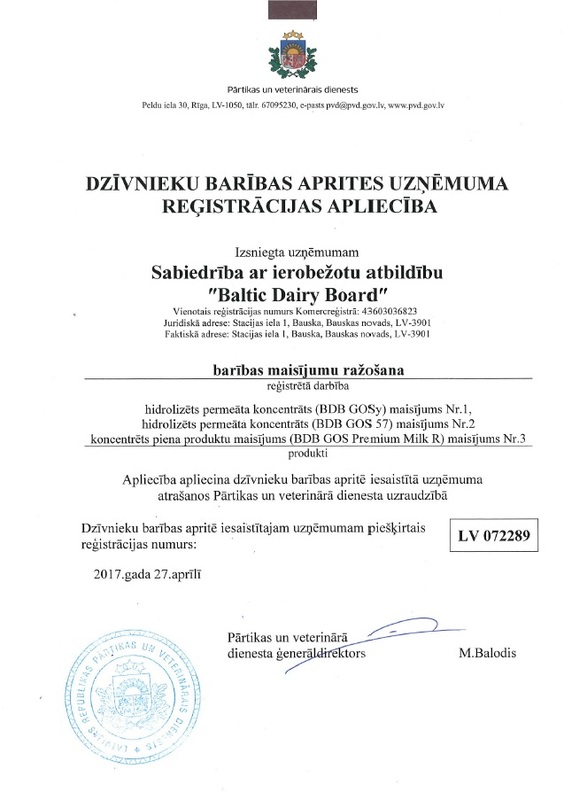 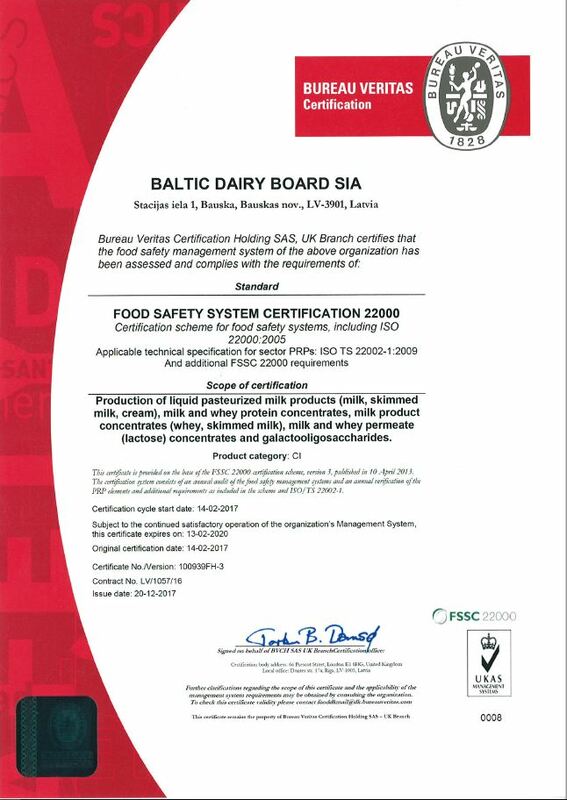 Along with the beginning of production in January 2016, the company has launched the Baltic Dairy Board laboratory employing qualified personnel with Bachelor and Master degrees in food chemistry and natural sciences. Employees of the laboratory are working full-time to ensure the best quality for raw ingredients and end products. 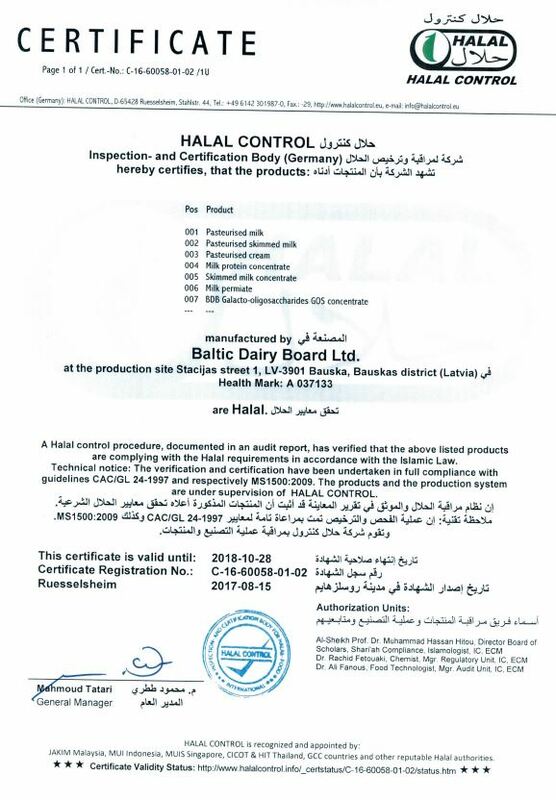 The laboratory staff works with the latest milk analyser FOSS MilkoScanTM FT2 to provide chemical analysis of raw ingredients, intermediate products and end products. 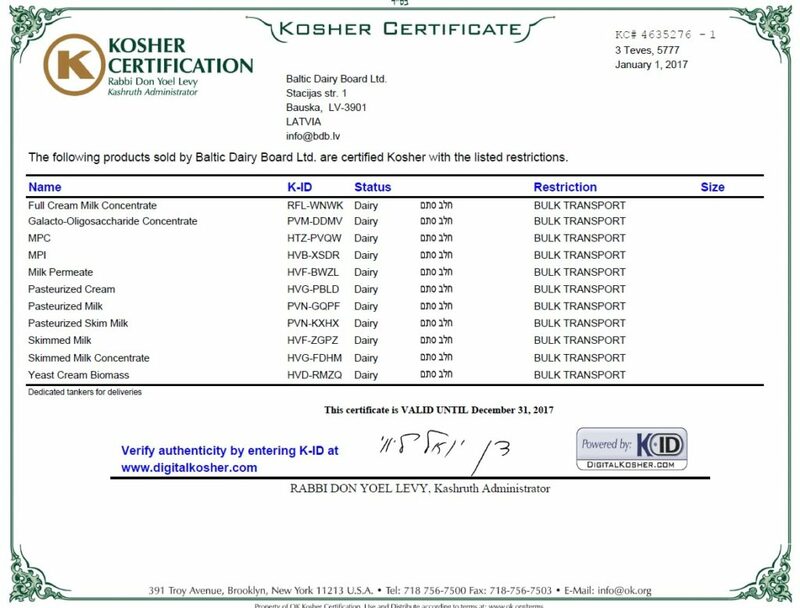 The chemical analysis determines the amount of fat, protein, solids and lactose in the contents of the product.